The recent buzz about Union Budget 2018 likely to be an election Budget, seems to be somewhat true. The Finance Minister, in his speech, paid adequate attention to improving farmers' income, development of rural sector, increasing infrastructure investment by 20%, giving relief to senior citizen and the salaried class, etc. To balance the Budget, it seems that corporate taxation was given a back seat. Attention seemed to be on expenditure and not on revenue collection, barring some changes in the personal tax regime that also seems facile if we go into the details. Government brought back standard deduction which it had earlier removed in 2005. But the fine print reads that this standard deduction subsumes the present exemption of transport allowance (Rs. 19,200) and reimbursement of miscellaneous medical expenses (Rs. 15,000). This thus gives a common taxpayer a saving of taxable income of Rs. 5800. No doubt it reduced paper work for claiming the two deductions. The government however lost revenue of approximately Rs. 8000 crores. The downside impact on common taxpayer is the increase in the cess from 3% to 4%. This, however, results in higher tax outflow for people in the higher income bracket. The table and graph explain that. Another relief given to taxpayer is in the real estate sector, where variation between stamp duty value and sale consideration would not be considered if it is less than 5% of the sales consideration. On corporate tax, the Finance Minister has increased the coverage of the companies, which will be taxed at 25%. He has extended the benefit of 25% tax rate to those companies, which have turnover up to Rs. 250 crores; last year it was for only those having revenue of Rs. 50 crores. With this, close to another 3% of corporates would have tax rate of 25%. This in effect would cover 98% of the companies filing their tax returns. What has created disappointment among corporates is the headline corporate rate not going down, against a general expectation that the government would reduce the rate. It was based on two reasons - one that the Finance Minister had himself announced in 2015 that corporate tax would be reduced to 25% for which he had already undertaken removal of certain deductions. Secondly, many countries, including the US and the UK which are large investors in India, have or are in the process of reducing tax rates to 20% or about. This creates a tax differential and any cost-benefit analysis for investment, considering this, would give a negative outcome. Another issue, which needs to be considered here, is that the reduced tax rate for MSMEs does create more jobs. But the same also creates disincentives for them to grow and thereby avoid bracket creeping. 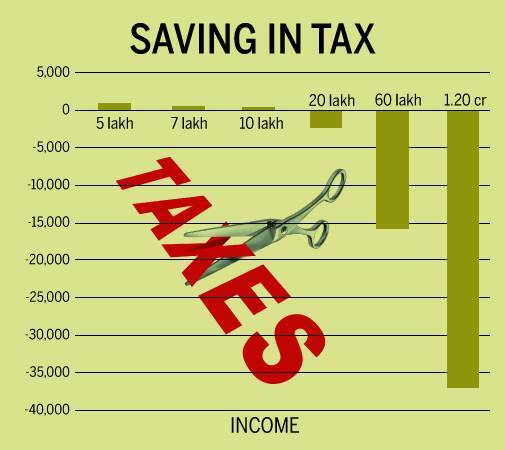 With change in tax rate, savings in the hand of MSMEs is estimated to be Rs. 7,000 crores during financial year 2018-19. This needs to be seen in conjunction with another boost to the sector by giving credit support, capital and interest subsidy and innovations, through an allocation of Rs. 3794 crores. This will further help small and medium companies and start-ups. The Budget has also brought in long term capital gains tax at 10% on the profit on sale of listed equity shares, units of equity-oriented funds and unit of a business trust exceeding Rs. 1,00,000, with no benefit of indexation. Corresponding Securities Transaction Tax (STT) has not been removed from such investments. Gains made till January 31 will, however, be grandfathered. 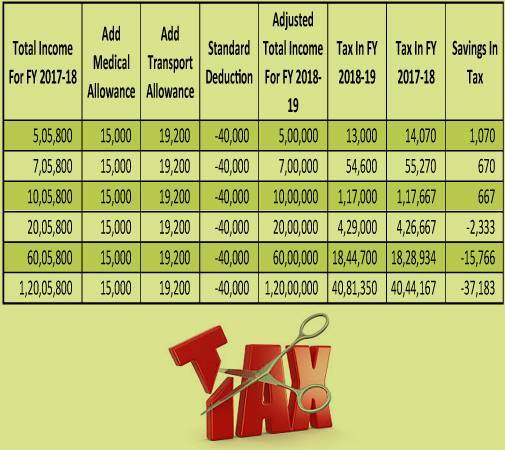 Another interesting point for consideration is that while individuals (more, for senior citizens) have gained from the taxes, they may get impacted by the customs duty increase on mobile phones, televisions, etc. This will no doubt give a boost to 'Make in India' and 'Design in India' efforts, but the hike in customs duty will increase effective protection. This is somewhat against the trend prevalent. If we look at the Budget in its entirety, the government does have an eye on the election, but at the same time, it has also done a fine balancing act and tried to keep the fiscal deficit within a reasonable limit of 3.2% of the GDP. Budget after all is an act of balancing! Sanjay Kumar, Senior Director, Deloitte India and Reena Garg, Manager, Deloitte Haskins and Sells LLP.